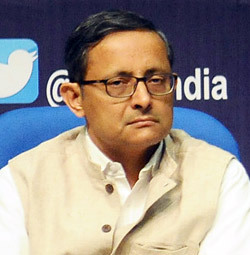 The government on May 10 approved the appointment of West Bengal cadre and 1982 batch officer Sanjay Mitra as the next Defence Secretary with a fixed tenure of two years. 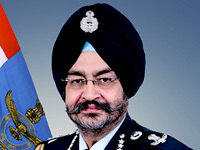 Mitra, who was holding the charge of secretary in the Ministry of Road Transport and Highways till now, has been appointed officer-on-special-duty in the defence ministry and will assume charge on May 24 when incumbent G Mohan Kumar retires. Mitra had earlier had a seven-year stint in the Manmohan Singh-led Prime Minister's Office (PMO) from 2004. He was also the Chief Secretary of West Bengal with Mamata Banerjee appointing him as predecessor Samar Ghosh refused to continue as the Chief Secretary after serving for six months post superannuation. 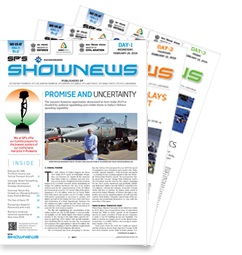 The defence ministry brought out its new procurement policy during Kumar's tenure but without a key chapter on the strategic partnership model to identify Indian firms that can forge alliances with foreign defence contractors to build high-tech defence systems in the country. Some of the key deals sealed during his term include contracts for Rafale warplanes, Chinook heavy-lift choppers, Apache attack helicopters, advanced medium-range surface-to-air missiles and M777 ultra-light howitzers. However, plans to buy new anti-tank guided missiles, very short-range air defence systems, light machine guns, new assault rifles and other weapons are yet to materialise. The implementation of the one rank, one pension scheme and the recommendations of the 7th Pay Commission report for the armed forces also caused a great deal of heartache in the armed forces. The budget allocation for the armed forces was also not in line with military's expectations and insufficient to power its modernisation drive. India's two surgical strikes into Myanmar in 2015 and in PoK a year later took place during his term. Mitra, a 1982-batch officer, was appointed the chief secretary of the state by Mamata Banerjee as his predecessor Samar Ghosh refused to continue as the chief secretary after serving for six months post superannuation. Mitra became the state's chief secretary in October 2012 by superseding a number of senior IAS officers. Before being posted as the state chief secretary, Mitra worked as a health secretary and as a joint secretary in the PMO.